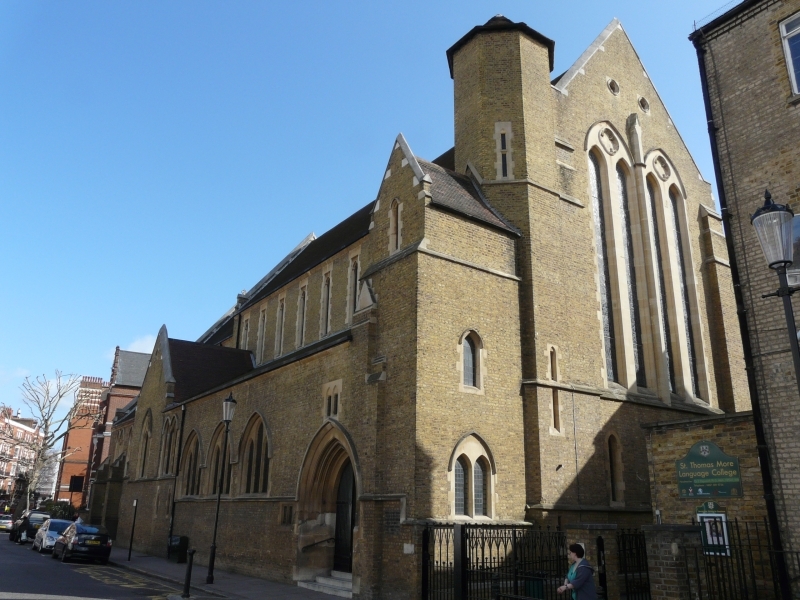 By the leading RC architect John Francis Bentley 1877-78 but incorporating part of A.W.N. Pugin’s earlier church on the site. A church whose interior is far more satisfying than its exterior. 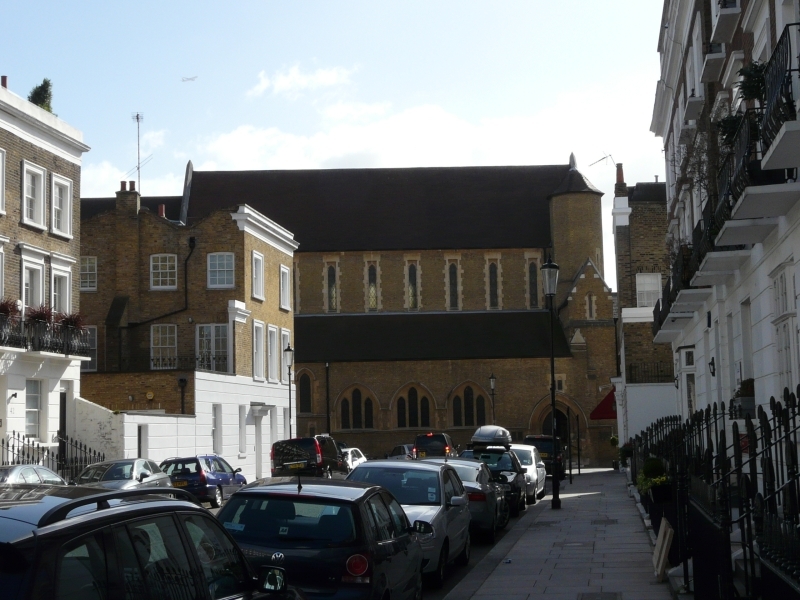 By zoothorn in Bentley, John Francis, Chelsea, London Borough of Kensington on January 21, 2013 .